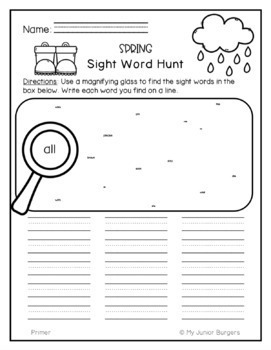 Primer Dolch List Sight Word Activities Year-Long Bundle! 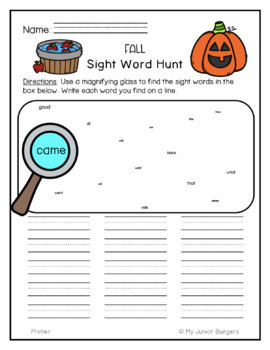 These sight word activities are excellent for ANY student working on sight words!! 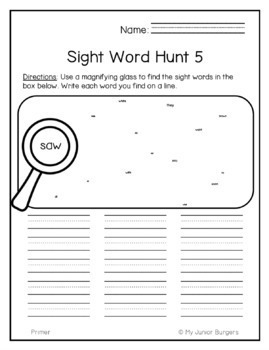 In this set, you will find a mix of ALL 52 Dolch List Primer sight words with engaging monthly themed graphics! Black and white versions as well as versions with no graphics are included for easy printing! 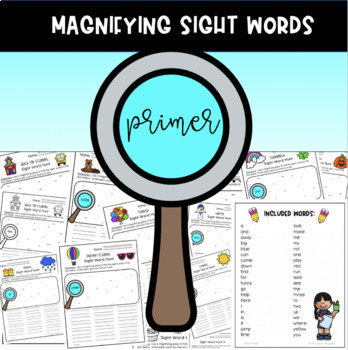 pages in sheet protectors or laminating pages will make them reusable for multiple years of classes!